I have found Jordan to be one of the most hospitable places on earth (and am fortunate enough to reside there). Visitors are highly appreciated and respected in Jordan. 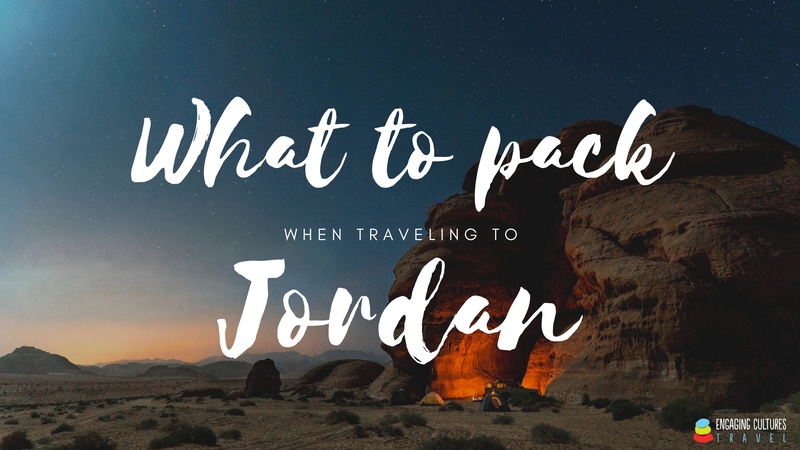 Jordanians are a social and personable people who are interested in their guests and who hope their guests will be interested in them. Men shake hands with one another, women shake hands with one another. When a man meets a woman (or vice versa), they should wait until the local extends their hand. Pious Muslim men and women may not shake hands with the opposite gender if they are not a member of their family. Rather, they may simply put their hand over their heart to show their sincerity in welcoming the visitor. If you are about to eat, even if there is only enough food for one person, it is polite to offer the food to someone that you are talking to. The offer will most likely be politely declined, but it is important to extend the offer. When a new guest enters a room, especially an older person, it is important to stand. When greeting people in a room, typically elderly people are greeted first. Men are also expected to stand when a woman enters. When asking about someone’s family, keep questions general and do not ask specifically about their spouse or a man’s sisters. It is an insult to show the bottom of your foot to another person. It is best to keep both feet on the floor. Try to keep a modest position when you stand and sit. You should not take photos of locals, especially women, unless you ask their permission first. Women traveling in Jordan are not expected to cover their heads or wear traditional Muslim dress. However, modest dress is appreciated. Women should avoid wearing tank tops and short shorts or skirts. Observant Muslims don’t drink alcohol. It is available in most hotels but not many local restaurants. If alcohol is not offered, it is better not to ask for it. Do not ask for pork or pork products. Muslim dietary laws forbid the consumption of pork. Jordanian hosts will always offer tea or coffee. A gracious guest will accept the gesture. It is considered impolite to eat with your left hand. In many places, it is considered polite to leave a bit of food on your plate. The concept of time in Jordan is different from many Western countries. People here are more relaxed with when appointments or events begin or end; both at work and at social gatherings. It is not unusual for visitors to be kept waiting. It is common to see men walking together holding hands, but men and women generally do not hold hands unless they are married. Kissing in public between men and women is frowned upon. The energy with which Jordanians put into social relationships can be difficult for Westerners used to keeping a distance. Acknowledging those who are welcoming you and taking the time to exchange pleasantries will bring you closer to people more quickly than anything else. Personal space is treated differently in Jordan. It can be difficult to find time to be alone. 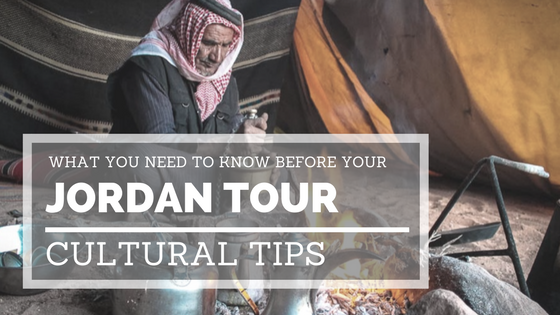 Jordanians take hospitality very seriously and are honestly interested in talking to you and making you feel comfortable. If you are invited somewhere and you don’t want to accept, a broad smile with your head slightly lowered, your right and over your heart, and saying “shukran, shukran” (“thank you, thank you”) is a clear but socially acceptable “no”. You may have to do this several times with a person who invites you. If you are invited to eat with someone at home and you choose to accept, consider how to repay your host’s hospitality. Attempting to offer money is offensive. What is appropriate is to bring sweet pastries. Hand them to your host as you arrive. You will be told that you shouldn’t trouble yourself, but it will be very much appreciated. Most importantly, remember to be authentic and enjoy yourself. 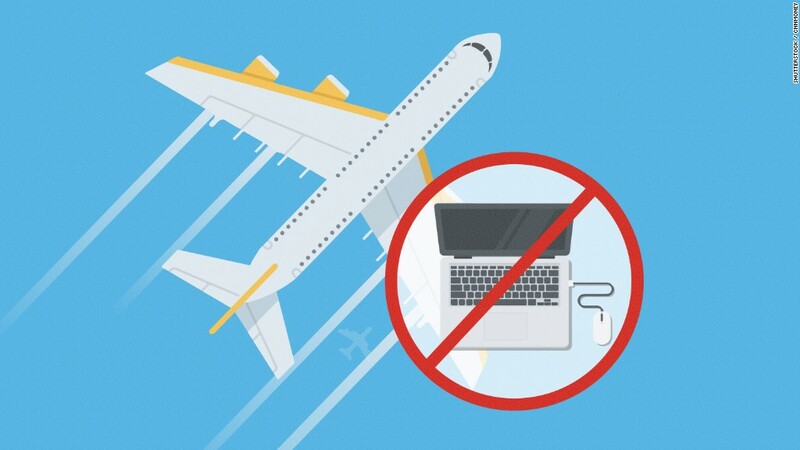 Jordanians are gracious and will overlook many cultural faux pas. 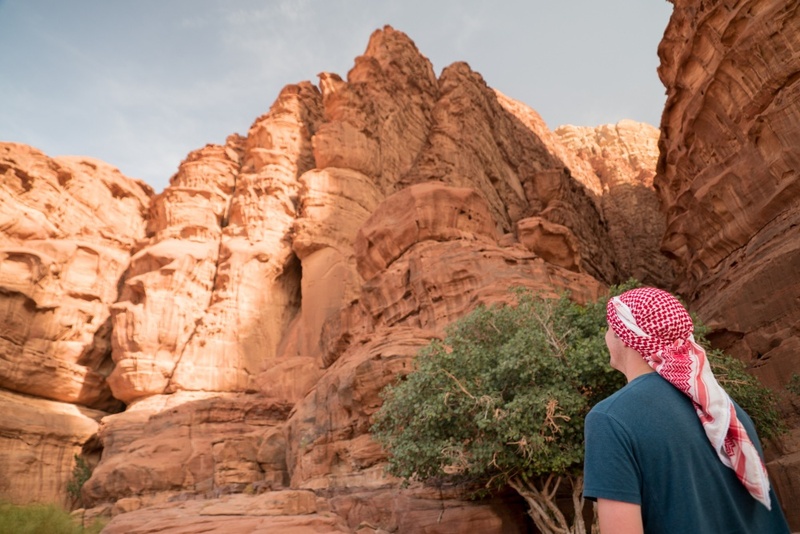 If you are interested in taking a Jordan tour, we would be thrilled to put together an authentic experience for you. Just click the button, tick the boxes, and we’ll do the rest. Jon has lived in Jordan for many years, speaks the local Arabic dialect, and is passionate about introducing guests to remarkable Jordanians.